5th Axis Workholding was founded out of necessity by Chris Taylor and Steve Grangetto in 2005. For lack of better workholdings, a new generation of vises and dovetail fixtures was born. Utilizing only the highest purity materials and a team of experienced engineers, 5th Axis has become the standard for machinists looking to improve their efficiency with reliable workholdings. Their clientele ranges from the US Navy and NASA, to Google and Apple. Its line of innovative workholding products includes: self-centering vises, master or machinable jaws, dovetail fixtures/cutters, and adapter plates for nearly every manufacturing brand. All of 5th Axis products are machined from heat-tested hardened steel to exacting standards in our Southern California factory. 5th Axis also serves as a full turn-key solution provider for both companies and individuals looking to engineer, program, mill, or prototype their parts. 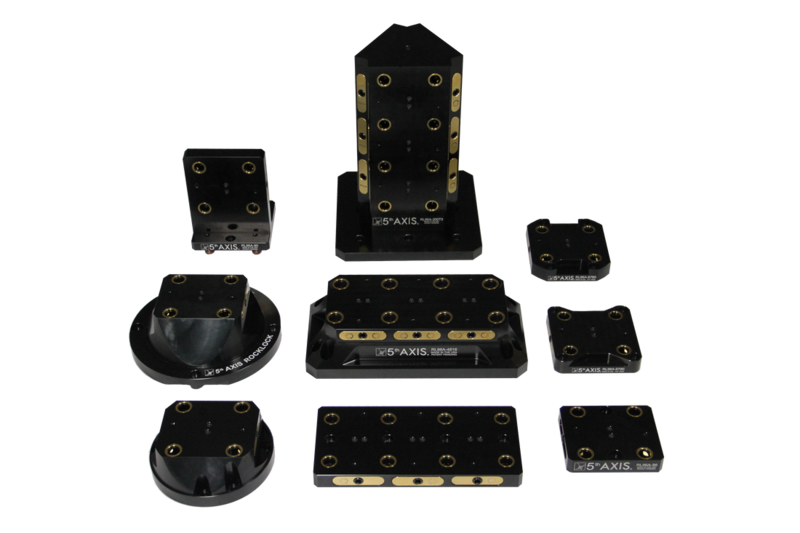 ​Designed by machinists for machinists, we manufacture the highest-quality 5 axis workholding fixtures on the market, 100% in the United States. We made this new workholding product introduction in our territories in the Spring of 2016. 5th Axis Workholding was created out of shear necessity. 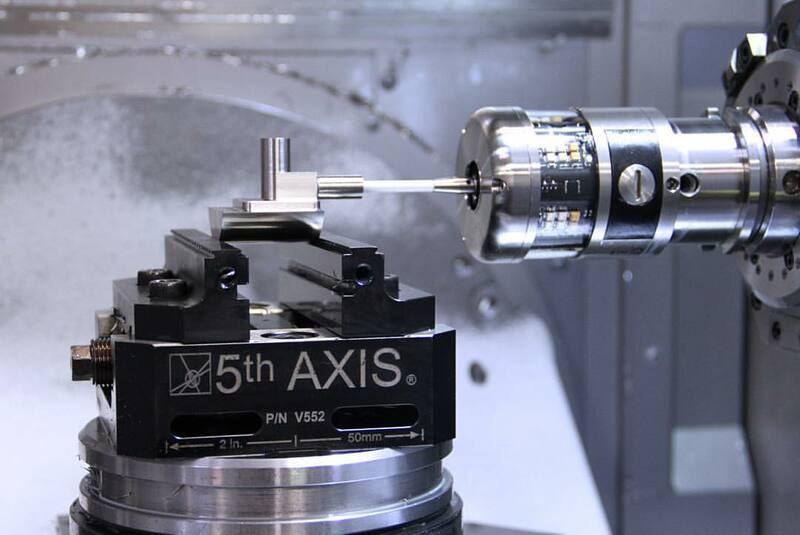 When Co-CEO’s Steve Grangetto and Chris Taylor started 5th Axis Inc. in 2005, they immediately recognized the need for quality workholding that addressed many of the common issues machinists encounter when moving into the 4th and 5th axis machining. 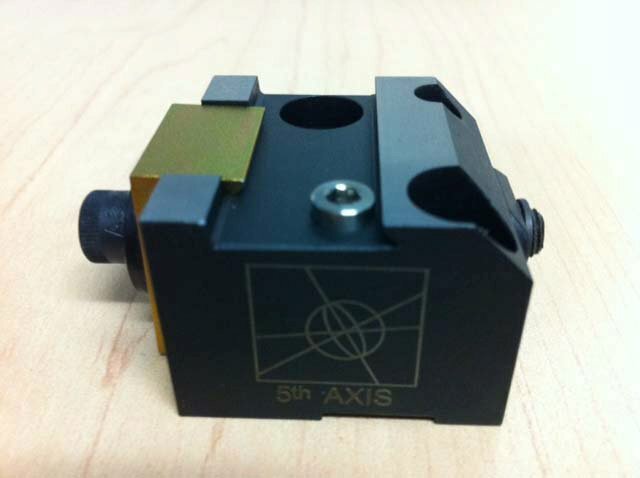 ​5th Axis self-centering vises are amongst the most versatile vises on the market. With a compact design, the vises mount directly to most machine tables, five-axis pyramids, and tombstones to create maximum clearance. The jaws mount with two bolts and two dowel pins (locating kit) so that users can easily configure the vises to meet their individual requirements. The reversible standard master jaws featured on the vise have 45-degree dovetail and serrations built into the 55 HRC. This allows either prepared or unprepared stock to be securely held in place, and for the optional replacement of jaws. ​Known as one of the strongest structural joints in terms of tensile strength, the dovetail fixture shines with high speed, multi-axis machining that requires absolute precision. Using hardened alloy steel, the fixture locks onto stock prepared with a dovetail rail and locating pocket. The locating pin on the fixture will ensure (with an accuracy of ± .001”) that prepared material can be interchanged between different 5th Axis vises. This configuration provides five-axis machine spindles access to all five faces of the material while increasing workholding strength and offering repeatable precision. ​To address concerns regarding preparing stock (dovetail end mills being too expensive and requiring frequent replacement) 5th Axis designed its own dovetail cutter in conjunction with Ingersoll Cutting Tools. ​Made from H13 tool steel and featuring a 1-inch-diameter shank that fits set-screw, collet or shrink-fit holders, the tool uses index able inserts (manufactured by Ingersoll Cutting Tools) that can be replaced at will. ​The dovetail fixtures’ design reflects the shop’s familiarity with natural concerns that make many manufacturers hesitate to use dovetail workholding. For example, fixtures can clamp onto as little as 0.06” of material, reducing the time and expenses associated with preparing a stock. Consequently, the ability to use smaller stock than what a traditional vise can accommodate reduces overall material costs. This becomes pertinent when working with costly materials such as titanium, molybdenum, tungsten, or high-temperature alloys.